This is a genuine Southland replacement part. The carburetor is responsible for regulating the amount of fuel and air that make it to the engine; this ensures the fuel is burning properly in your auger. Commonly you will replace the carburetor when it is clogged and cleaning is not effective. Signs your carburetor needs to be replaced are that the engine is not running properly, it is not running at all, it will not stay running, it is difficult to start, or if it emits a lot of smoke. In order to successfully replace this part we suggest that as you remove the old carburetor pay attention to the order and placement of the parts you are removing, when reassembling reverse the removal order. When you are finished replacing the carburetor be sure to inspect all connections before running. Place only a small amount of fuel in the tank while testing the new carburetor. This is an authentic Southland replacement part. This fuel line replacement kit has everything you need to successfully replace the fuel line. The fuel line is a vital part of a working engine; it helps fuel get from the fuel tank to the engine. This part is commonly used in augers. Installation requires a pair of pliers for the clamps on the line. 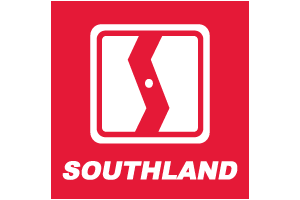 This is an authentic OEM Southland replacement part. This recoil starter is a vital part of any small engine; if it is not working properly you will not be able to pull-start the engine. It is commonly used for augers. This part is made out of plastic. When replacing the starter recoil you will need a screwdriver.